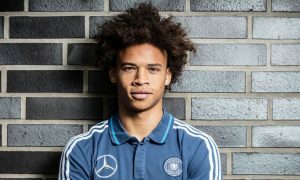 It has been just one-and-a-half weeks since he was the victim of a horror tackle from Cardiff City’s Joe Bennett, but Leroy Sané is already back playing some part in first-team training. Leroy, who Pep Guardiola said at the end of January would be out for “six or seven weeks” was shown in City’s training gallery for Thursday. This came after an Instagram post by the 22-year-old showed him walking freely in recent days while on a holiday with his girlfriend. Today’s photograph shows Sané in high spirits and full training gear. What it doesn’t show is just how involved the Germany winger was in first-team training, but the fact he is already taking some part bodes well for an earlier than expected return. John Stones and Phil Foden also trained again, continuing their comebacks from injury, with the squad starting to get some faces back after an injury crisis. No doubt Pep Guardiola will be quizzed about Leroy’s status at tomorrow’s pre-Leicester press conference, and will hopefully add some clarity to his return date.